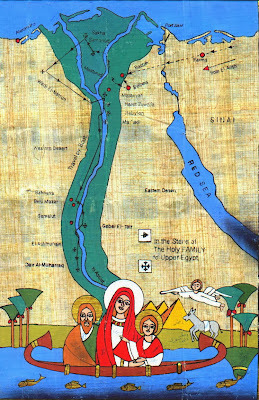 Now, the Flight into Egypt gets only a couple of verses in the Bible and is only mentioned in one Gospel, Matthew, (Matthew 2, 13-14 and 19) so the extremely detailed accounts of the Coptic stories have more to do with pious elaboration — or pilgrimage tourism — than history, but the stories can be quite charming. 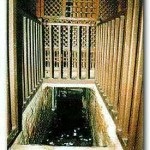 Some are based on an apocryphal Armenian infancy gospel, some on local traditions, etc. The Coptic traditions hold that the Holy Family spent three years in Egypt. I am shamelessly cribbing this from Chapter XXXI of the late Otto Meinardus' Christian Egypt Ancient and Modern, (Cairo: AUC Press, 1965; Revised Edition 1977). Meinardus was a major figure in Coptic studies; German-born, he wrote mostly in English or French, taught at the American University in Cairo, and was an ordained Lutheran pastor. (Judge for yourself what Martin Luther would have thought of some of these stories.) He died in 2005. But I have to condense all the details considerably; his chapter runs over 40 pages. 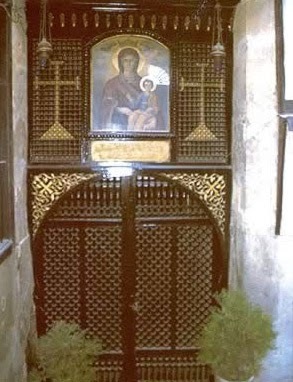 There's also a detailed online site, with pictures (text approved personally by Coptic Pope Shenouda, they say), for those interested. 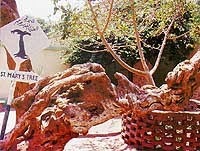 And tours are available;this site also offers a travelogue. 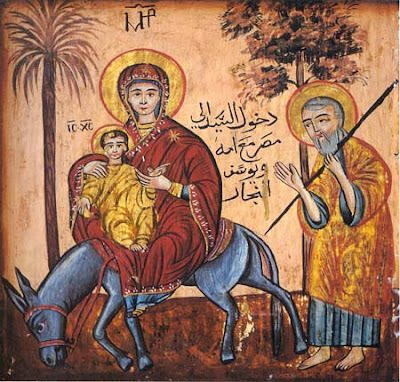 Jesus did not qualify as a tourist, but it is true that the Holy Family were among the refugees from religious and political repression who came to Egypt over the millennia. Instead of King Herod, think Bashar al-Asad,and ask who is closing the door to such refugees today?